The non-woven range of tissues papers offered by Lotus Tissue Paper Products, have become the epitome of durability and hygiene. Widely used for clinic purposes, our products provide for an excellent alternative for disposable medical tissues. 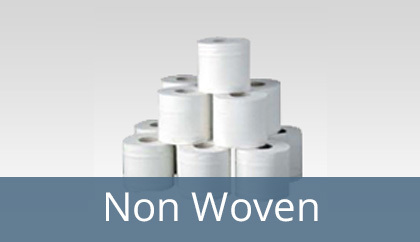 With the qualities of being strong and resilient in use, reusability, ability to withstand bacteria and other germs and highly absorptive feature, makes the non-woven tissue a greatly demanded product from our range of offerings. We believe in producing and supplying nothing but the best and when it comes to health and hygiene, we take our aims extremely seriously, this is the reason for the success in our business that has been instrumental in humbling us. We keep your needs and requirements our priority, which is evident in the innovative range of non-woven tissues that we supply. Not only does the span stand ideal for the medical purposes, but it is also an ideal alternative for personal use, making it a versatile and wise choice for the ardent users of disposable products.